Mike Woodbury, who ran club teams here for decades, is under fire after a profanity-laced rant involving a basketball player where he works at The Nation Christian Academy in Florida. 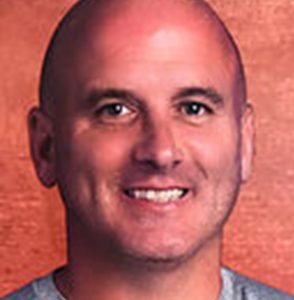 A basketball coach with deep ties to Maine came under fire Wednesday after a recording of him threatening a student in Florida was posted on YouTube. Mike Woodbury, who grew up in Maine and coached youth teams here for nearly two decades, acknowledged he made the profanity-laced comments in the audio but did not apologize for the tirade. Athletes who played on his club basketball teams in Maine said they experienced similar mistreatment from Woodbury, who now is the CEO of The Nation Christian Academy in Port St. Lucie, Florida. He attended Waterville High School and Thomas College, according to his Facebook page. The three-minute audio involves a conversation between Woodbury and a high school player wanting to transfer from Nation Christian. Athletes who played for Woodbury in Maine were not surprised by his comments or the outrage they created on social media. Rousseau, a former star at Biddeford High School who went on to play at the University of Maine and Stonehill College, was on Woodbury’s Maine Elite team in the spring of her sophomore year of high school. Andrew Shaw, who played basketball at Thornton Academy and Bentley College, said the use of demeaning and profane language was common in his four years playing for Woodbury’s club teams. Shaw cited several troubling incidents. In one, Shaw said Woodbury told a 16-year-old player he should jump off the Piscataqua River Bridge because he had played poorly at a tournament in Massachusetts. Woodbury did not return phone calls Wednesday, and a representative of the school said Woodbury was not available for comment. He issued a statement Wednesday afternoon via Twitter. In the statement, Woodbury said the recording took place Oct. 17 and the player was asked to leave school two days later. The student in the audio is now attending West Oaks Academy in Orlando, Florida, Jeff Goodman of the Stadium website reported. The audio was posted on the Coach Gillion YouTube account run by West Oaks basketball coach Kenny Gillion. The audio has led one former Maine athlete to decide to leave The Nation Christian Academy. Former George Stevens Academy basketball star Taylor Schildroth was on Nation Christian’s post-graduate roster, but Wednesday he announced on Twitter his intent to leave the school. “The things said on this video are terrible and completely against what I believe in. Because of this incident I have decided to return home to find a place better suited for my academic and athletic goals,” Schildroth tweeted. Another former Maine athlete, Will Mitchell of Saco, has been playing quarterback for Nation Christian’s high school football team this fall and is listed as a member of the high school basketball team. Woodbury was owner and operator of MB Nation, a club basketball team based in southern Maine that formed in 2008. Before that, he ran other club basketball programs, coaching youth and teenage basketball players here as recently as 2015. He coached a Maine basketball team in 2011 that won a national AAU boys’ Division I 12th-grade championship. In November 2015, Woodbury and another man got in a fight that was caught on surveillance video at Southern Maine Community College in South Portland. At the time, Woodbury was renting the SMCC gym for tournament use. Rousseau, the former Biddeford High star, said she had not spoken out previously about Woodbury’s behavior because she feared retaliation. Shaw is surprised that Woodbury’s behavior hadn’t drawn attention sooner.